Available Material 1.Stainless Steel: SS201, SS303, SS304, SS316, SS416, SS420,etc. 3.Â Brass:C36000 ( C26800), C37700 ( HPb59), C38500( HPb58), C27200CuZn37), C28000(CuZn40),etc. 6.Â Aluminum: Al6061, Al6063, etc. Surface Treatment Zn-plated,ni-plated,tin-plated,chrome plated,passivated,sandblast and anodize,chromate,polish,electro painting,blackÂ anodize,plain,H.D.G,etc. Coordinate Measuring Machine, Calipers, Microscope, Micrometer,DEM, Height Meter and 00 Level Marbel Panel, Ring Gauge, Three Pin, Thread Gauge. Machining Equipment Cold Forging Machine, Thread Rolling Machine, 4-axis CNC Machining Center, CNC Lathe, High Speed Electric Spark Puncher, Milling Machine ,Grinding Machine, CNC Lathes , Wire-cuts, Laser Cuts , CNC Shearing Machines ,CNC Bending Machines, etc. 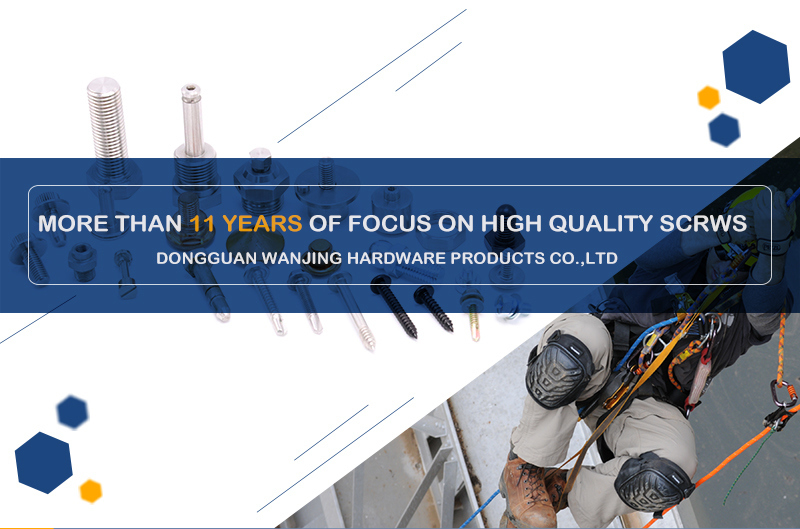 Dongguan Wanjin Hardware Products Co., Ltd.Â is specialized in non-standard parts manufacturer, which is located in Dongguan City,Â Guangdong Province, China. 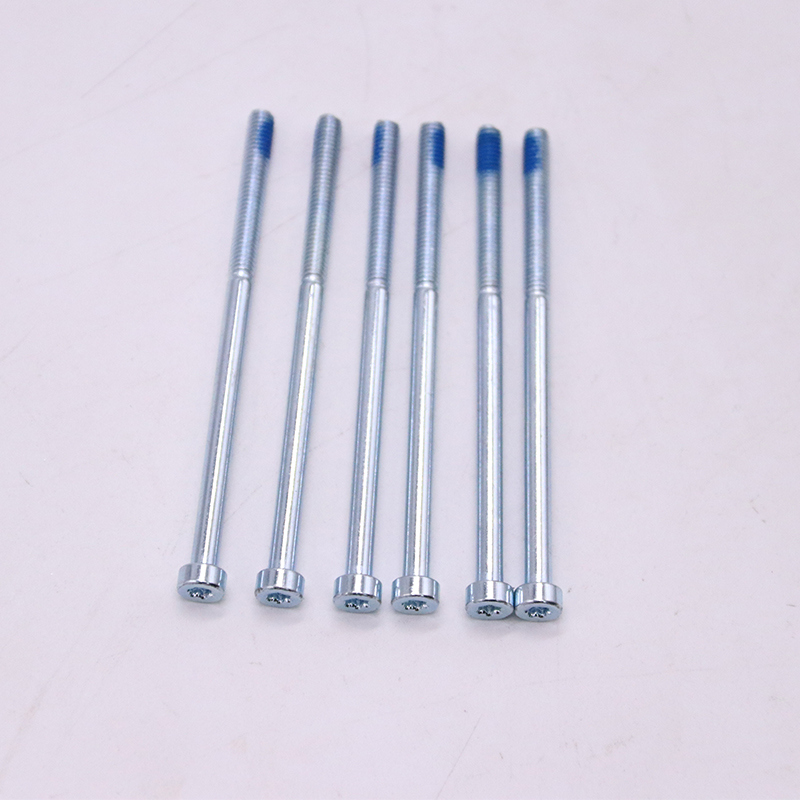 Our products include long screws, long bolts, CNC lathe parts, non-standard fasteners, special screws and bolt, rivets,pins, wrench, hex key stamping parts, etc. the company's major customer areas include new energy, automotive, motor mechanical and electrical, sports equipment, Mechanical equipment, baby products, household appliances, furniture, electronic products. we have a complete and scientific quality management system. and our company has strong technical force with CNC milling compound processing equipment and advanced cold pier equipment. With upholding the responsibility, integrity, enterprising, rigorous business philosophy, our product quality and production capacity are widely recognized in the Chinese market. At present,we cooperate with numbers of export fastener traders to provide high-quality non-standard custom products. According to customers' drawings, we provide products to meet their needs. Our company has passed the quality system authentication ofÂ ISO9001:2015Â and IATF16949:2016. We warmly welcome friends from all walks of life to visit our company for business negotiation and guidance. Interested buyers are welcomed to contact us. Quality assurance: Our company strict implementation of ISO quality management. We specialize in screws manufacturing over 11 years of experience, our factory is located in Dongguan, Guangdong, China, nearÂ Shenzhen and Guangzhou. We have the confidence to become one of your long-term partners if you can give me a chance toÂ service you. Our factory is in QingxiÂ town, Dongguancity,Guangdong province,China with 100 staffs who is with best creditability, reliability at your absolute promise . We have many years production experience and export experience. All our goods are made of best materials from the best suppliers . We definitely produce all goods by ourselves . 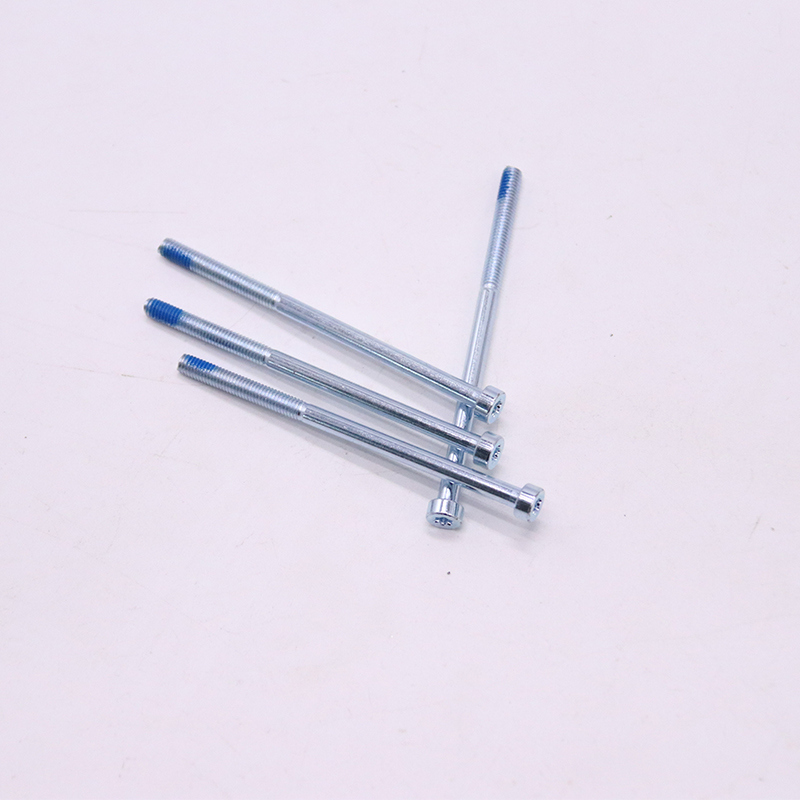 It is the top service from wire rodsÂ feeding, coating,wire drawing, forming,threading,passivating,inspection,packaging,delivery, therefore quality is 100% assured . Every single pieceÂ ofÂ product, every productionÂ procedure is inspected and controlled before packing the goods into export carton. We ensure every of product shipped are of good quality. Q1:Are you aÂ manufacture or trading company? A: We are a professional hardware manufacturer.But, we have the right to do the import & export business. Actually, we have this experience for many years. Q2:What kind of products do you produce? A: We specializes in producing a variety of standard, non-standard screws, bolts, nuts and CNC lathe parts. Q3:What kind of material do you usually use? A:We using carbon steels(low and medium carbon, alloy steels),stainless steel and brass. Q4:Do you support customized products? A:Sure, we can produce the customized products per your drawings and other requirements. Q5:Can we print out own logo? A:Yes, we can make it according to your request. For customized bolts, tooling and proofing charges need. All free samples not including its courier charge. Q7:How to ensure that every process's quality? Q8:What is the lead time of the product? A:Generally 30-50 days after the deposit. Q9:How about the trading term and payment term? A:We can discuss this individually.